Marketing over the Internet is lot different from offline or traditional marketing. 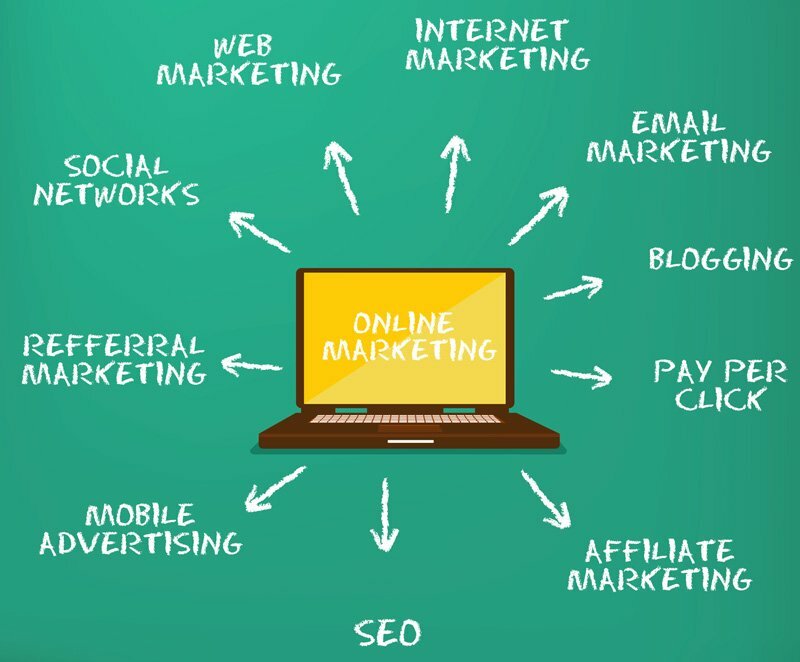 The main difference between traditional marketing to Internet marketing is there is very little you can track as the return of your offline marketing effort but with Internet marketing there is lot more you can track on each penny spent. An example is if you broadcast an advertisement for 10 seconds in a television show, you will never know how many people saw that ad (you can just estimate) and took the needed action you wanted them to. When it comes to advertising on the Internet, you can pin point the person who took the needed action and what was the result of the action taken and even pin point the trigger point behind the needed action. Traditional Marketing Medium – TV, Radio, Newspaper, Magazines, Posters, Billboards, Hoardings, Mailers and Flyers. Internet Marketing Medium – Social Media, Search Engine, Content Marketing, Email Marketing, Affiliate Marketing. So there is a lot that has changed when it comes to Internet marketing over traditional marketing. Definitely there are a lot of advantages when it comes to Internet Marketing over Traditional Marketing. Traditional form of marketing has very little option when you want to be targeting your customer based on certain geographic location. If you wish to put a newspaper ad, you cannot choose the GEO for the ad unless there is separate newspaper being circulated in different GEO. If you are very specific about GEO, you can only target certain local newspapers but then those papers may not have the needed reach and readers for your product. Similar things can be said about TV ads or even radio ads for targeting based on GEO. Digital marketing means you can target your ads to the right people living in a particular locality. You can save a lot of money that could just have been wasted in an offline advertising if you were still not operating in those areas. Traditional marketing is all about broadcasting or communication where you offer what people may be interested in and they can take it or leave it but with Internet marketing you can target only users who are interested in what you may be offering. Interest targeting may not always work especially for products in the infancy stage. You need to be aware of the product and need to be interested in the topic to be able to advertise about a product. Let us consider a hypothetical example of a company X where they have come up with a residential plot on mars. You may not even have dreamt about it and so digital advertising channels may not know if you have any interest about it or not and so you can’t be a potential person where company X would advertise their products to you. Instead company would create a broadcasting or outbound marketing campaign to create awareness about the product and once social media channel knows about your interest in such topic, they may advertise it to you for conversion. Similar stories may be found about various products that we use regularly today. An example can be a toothpaste. Toothpastes were first marketed in the 19th century, but did not surpass the popularity of tooth-powder until World War I. Companies manufacturing toothpastes then would have needed outbound marketing campaigns to create product awareness and then possibly recommend to those who may have taken an interest in it. Getting started with digital marketing is as simple as creating a few clicks and you can have your brand online on Facebook and advertising. It is just so intuitive that you can just get started marketing your product digitally almost instantly. The question is are you doing it aligning with the objective of your marketing agenda. Traditional marketing is not so easy to get started as digital advertising. Traditional marketing needs lot of budget and planning to get started whereas digital marketing is not as expensive as traditional marketing to get started. Starting work with traditional marketing requires a really big budget and planning. Showing your ad once on a TV show may not fetch any results. Ads may need to be shown multiple times when you have the right kind of users watching for them to remember your brand. Internet marketing can be started with as low as $1 per day. A startup can compete with an established brand on the Internet. It is the same level playing field for big brands and startups when advertising. There is a good and bad side of it. The disadvantage could be, you can be just too naive to be competing with them and in the process burn out lot of money. Traditional marketing does not offer too much of measurable results but digital marketing offers the measurable results in real time. You can get started advertising on your channels and can assign the correct tracking methods to assign the sales to each ad dollar spent. The actual problem is being able to track too much information and at times people just over do it. Make sure you are not tracking every bit of your ads and are tracking to help you achieve better results for your marketing expenditure and not just doing for the sake of it. Traditional marketing creates products based on the survey and what they think would be a choice of products to certain consumers but digital marketing, you can create a product taking input from users and what they want. Crowdfunding is where you describe the product and only build it if you find the needed support for the product. Similar things can be said about blog’s as well. You can just get started blogging about something but slowly but surely you can move to a different niche as you find that people want to be reading something that you write more than other things you have written in the past. There is no one approach of marketing that may always work. Some may need outbound marketing more over inbound marketing where as in some cases traditional marketing more than Internet marketing. Some may even need more social media marketing than search engine marketing. So it is all about doing the right mix of right kind of marketing approach to the right kind of products for the right kind of audience.